Here you can see the most traded financial instruments among our wide liquidity offering. Check our deep liquidity on forex, indices, cryptocurriences, commodities, shares and ETFs. Liquidity solution tailored to the needs of our partners. Allow your clients to invest in currencies on the largest financial market in the world. Get access to enhanced forex liquidity. Get access to Crypto liquidity and develop your offer adding the most popular cryptocurrencies on the market. Allow your client to participate in the fastest growing financial market. Our stock derivatives offer contains over 20 indices from the world’s biggest stock exchanges. Check our High Liquidity for indices and low spreads starting from 0 pips. No requoting. Check out our wide range of products from global markets. Get liquidity on commodities and allow your clients to invest in energy, agricultural, industrial and precious metals. Get liquidity on ETFs and start to offer your clients direct access to all main global exchanges. Leverage up to 1:10, short sale, dividends and much more. ZuluTrade has successfully integrated with X Open Hub, and all brokers can enjoy all the benefits of its unique copy-trading community. Hundreds of successful integrations and millions of executed trades have made ZuluTrade the most trusted partner. ZuluTrade is a leading online and mobile copy-trading platform provider that tracks Traders globally, while simultaneously enabling users to mimic successful Trader positioning in real time. Forex TB limited is a CySEC regulated online CFD Broker and strives to provide traders with an excellent experience in terms of features, tools, and timely support. With X Open Hub, we are able to provide a solution where clients could trade both on local and global markets. We appreciate X Open Hub's flexibility and committed team that provides reliable support. Legacy FX - our company mission is to empower and educate our clients and offer access to multi-asset instruments on the global market. 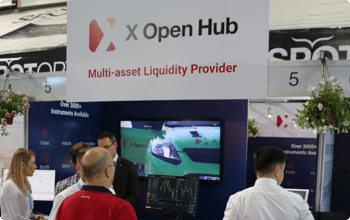 During cooperation with X Open Hub, we manage to control our business risk offering trading access in a wide range of global instruments and provide competitive CFD trading conditions to our Clients. Fast execution. Reliable prices and stable connection. Very informative, polite and responsive support. Noah's FX Waves is a fully licensed and regulated company by FSCA. Our main values are Integrity, Transparency, Empowerment, and Accountability. 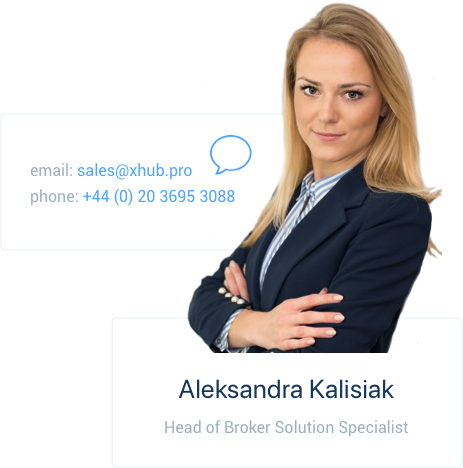 By combining the elements of a traditional broker service with XOH technology, we were able to scale up our offering and provide better, more tailored trading tools to our clients. This resulted in a significant increase in trading activity over time. Phase Markets LTD. is a company authorized and regulated by the VFSC (License #40387), which provides both private and institutional clients with financial services through a multi-asset trading platform. X Open Hub provides us with fully automatic and reliable execution since the beginning in the MT4 environment with ultra-low latency and a multi-asset feeds. The partnership between our two companies has made our business model very successful and kept our client satisfied. Inhalt Markets provides online trading services and specializes in Forex, Commodity and Cryptocurrency trading. We are still growing and currently serves retail and institutional clients in more than 45 countries. This partnership is fundamental to our company. X Open Hub is not only a technology provider but a trustworthy partner who works together with us on a solution for the challenges we face. Match-Trade cooperates with XOH since 2015 and we find this partnership very successful for both parties. XOH has a very strong team of business professionals, which is supported by one of the most advanced technology solutions available in the FX market. We appreciate their flexibility and a wide range of instruments, which are available in their liquidity offer. With more than 18 years experience SIS is a leading brokerage house on the Bulgarian market. During a cooperation with X Open Hub, Sofia International Securities JSC has gained the trust of more than 26,600 individual and institutional clients and every year ranks among the top 10 brokerage companies in Bulgaria. We have been a partner with X Open Hub since 2013. Because of the vast array of trading instruments and the use of advanced financial technologies, we achieved outstanding results and a leading position in the international arena. The X Open Hub team maintained high professionalism and efficiency in dealing with the various tasks. We have been cooperating with X Open Hub's team since 2013, and I have to say that it has transformed the way we do our business. We managed to lower the cost of executions and mitigate requotes. X Open Hub integrated Top Tier Banks, Prime Brokers and multiple Liquidity Providers (LPs), creating the deepest source of liquidity in the market. How to choose the best provider? A liquidity provider by definition is an entity that allows clients to hedge their risks. It connects various brokers, banks, hedge funds, also traders and other financial institutions, increasing the liquidity of the joint market. The more clients a liquidity provider is servicing the better offer can be delivered. Desired is a higher liquidity as it decreases the spread as well as the cost of trading. Liquidity providers act at both ends of given asset transactions. They sell and buy certain financial instruments at certain prices. It means that they become the direct counterparties for all executed trades with the clients. Therefore the liquidity providers guarantee the prices at which all the transactions were hedged. Liquidity providers have various strategies to assure the best possible liquidity. Trading and nowadays also robust IT Departments in the largest banks and brokerage houses are working 24/6 directly connected to stock exchanges, ECN banking systems and other STP brokers, checking their exposure, measuring their risks and finally making sure that there is always a bid and ask side with a tight spreads and sufficient volume of any traded asset. The biggest and the most reliable liquidity providers are not only sending all the flow to stock exchanges, ECNs or even dark pools but can also internalize some of the flow delivered by their clients. The volumes sent by their customers are sustainable enough to net and execute the trades in milliseconds assuring better spreads and limiting the risk of any slippage. In other words, the biggest liquidity providers sometimes might act similar to multilateral trading facilities (MTFs).